Enjoying barbecues with friends is always a great way to spend your free time. Gas grills have come to make this all easier. 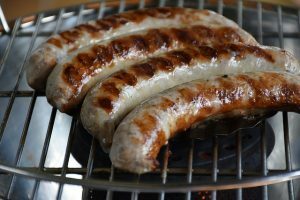 Before you run off to get yourself a new gas grill from a hardware store, you need to understand what to look out for in a grill and what qualifies as one of the best gas grills available in a hardware store. Some of these are easy to find, some harder. With the backyard barbecue an essential part of the American cultural landscape, it is important that you get a great gas grill not only to serve you well but also to serve you long enough. Gas grills have become commonplace since their introduction as alternatives to the hassle of charcoal, with its easy-to-control heat level making it very appealing. Today, they differ in style, budget,and evidently, performance. Purchasing a new one can be a tricky ask. The Spirit E-310 Liquid Propane Gas, Model 46510001 is the result of the redesigning of the E-210 model. More robust and more complete, the Weber 46510001 houses the control panel up front. This shift allows for the inclusion of two steel tables. The 3 stainless steel burners are porcelain enameled cooking grates, dishing out a total heat capacity of 32,000 BTU. This provides a cooking space of 424 square inches, plus an additional 105 square inches for warming. The electronic crossover igniter requires just the touch of a button to ignite and is highly effective. An interesting feature of the Weber 46510001 is the reliable fuel gauge which doesn’t leave you guessing about how much gas is left. Though it might have “just” three burners, the mid-range pricing spectrum is not bad for another quality product from Weber. There’s always the problem of difficult assembly, and this takes over an hour. Carefully follow the instructions, and you will be okay. Another unfortunate feature for its price is the lack of a unit cover. You can purchase that separately for a little more. Lastly, do not expect this to be your ideal entire neighborhood barbecue grill. It isn’t. But it should be enough for a family of about 5, and cleaning is easy-peasy. Click here to check out the latest prices. The Gas Grill market is mainly renowned for being relatively high class. It is within this market that the low-price Spirit E-210 from Weber has come to stay, and it leaves little to be desired. The Weber Spirit E-210 was a part of the first revolution by manufacturers from large grills to smaller, more compact ones that occupy less space and provide you with the ultimate grill experience. To achieve this, the grill comes with fold-down metal side tables and 2 top burners. It provides a cooking surface of about 360 square inches. One can expand this surface to a total of 450 square inches of cooking surface. Thus, the grill is comfortable enough to prepare burgers (or stuff like that) for a family of four at a go. Further, the Weber Spirit E-210 comes with a front control panel. It comes with a quality, even though quite cheap build, that is as likable as can be. The major downside of the Spirit E-210 is the use of low-grade stainless steel and a lack of extras whatsoever. However, for a low-priced gas grill with easy-to-clean cooking grates, an electronic ignition system, and Flavorizer Bars (burner shields that prevent flares), what more can we ask for? To confirm its latest price, click here. Even among the lower priced categories of gas grills on this list, the Classic 360 2-Burner Gas Grill is low-priced. Does that give you any ideas? It is incredibly cheap. How do you combine cheap with quality? By cutting down on certain non-essentials. Still, CharBroil provides this one with about 35,000 BTU gas grill and 8,000 BTU for the side burner. It also comes with a porcelain-coated steel lid and firebox to give it a longer lifespan. With about 360 square inches of the primary cooking area plus an extra workspace, it is also convenient. For all of its effort, though, it does have some serious complaints. Keeping it clean requires serious effort, and then some. Assembling its many parts can prove problematic if you do not carefully follow the instructions. It is also worth noting that the Classic 360 2-Burner will need a strict maintenance policy to last long enough. Even then, it’s always a great way to test out the waters of gas grills if you are still skeptical about it. You can find out more about the Char-Broil Classic 360 and current pricing here. The 3-burner Gas Grill was a project by Dyna-Glo aimed at finding a fusion between compact and large. It is as basic as can be, with little (or no) other features besides its gas grill functionality. The Dyna-Glo 3-Burner occupies about 390 square inches of surface area and is smaller than most full-sized models. This can be expanded with the addition of a secondary cooking area of about 117 square inches. Its 3 burners carry a heat level of about 12,000 BTU each, totaling at 36,000 BTU. It is also porcelain-enameled to provide some durability. Like most gas grills, it comes with a stainless thermometer along the control panel, plus an electronic ignition system. The Dyna-Glo 3-Burner is the definition of efficiency. It has no side features like side burners or the likes (does it really need any of that? ), but it does its job. When it comes to heating, it may seem a little slow. It is not exactly at the “WOW” standard but is competent enough to make this list. As you would expect, it is on the low-end of the gas grill pricing spectrum. Click here to find out more about the Dyna-Glo 3-burner. Char-Griller has had to include gas grillers in its line of products with gas gaining popularity over the charcoal grills. Modified from the smallest of their charcoal grills, the Grillin Pro 3001 has a grill power of about 40,800 BTUs. Furthermore, it has a cooking surface of 645 square inches, which is made up of 3 burners. These 3 burners all have separate controls making it very efficient in getting you your preferred temperature. It also has a 12,000 BTU burner on the side for cooking or warming. Other impressive features include the chrome-plated warming rack, porcelain coated cast iron cooking grates, and electronic lighting. The Char-Griller Grillin Pro 3001 has an external body build of thick thermal painted steel. While that is quite impressive, most of its features are on the low end – poor plastic wheels and inferior internal components. Sacrifice for the cost? Maybe, it is low-cost, after all. Another seeming issue has been the difficulty of assembly. Surely, though, by carefully following the instructions on the package, it becomes easy to assemble. Eventually – after years of service – this is going to rust. With proper care and maintenance, you can put that off for a very long time. It is definitely one of the best low-cost gas grills on the market. For more information on the current pricing of the Grillin Pro 3001, click here. The Classic 4-Burner from Char-Broil is an upgrade on the Classic 360 3-Burner. Unlike the 360, it comes with a 480 square-inch surface cooking area. This gives it an advantage over most of the gas grills on this list, as it combines large with inexpensive. For its size, it heats well enough – 50,000 total BTUs. Similarly, it heats up real fast, achieving 500 degrees in about 3 minutes. The iron grates of the Classic 4-Burner is porcelain coated. 180 square-inch of secondary cooking is also available making it possible to cook and grill at a go. This amazing grill also has an electronic ignition system in its arsenal. The Char-Broil Classic 4-Burner provides almost all you’ll need from a typical low-cost gas grill. On the flip side, though, the seemingly sturdy grill rusts quite quickly. The heating while fast, is largely uneven – the sides enjoy way more heat than the central position. Meanwhile, its components are mostly inferior and on the cheap. Conversely, it provides you with extras only found on the highest priced gas grills, such as its swiveling caster wheels. Other nice functionalities include a temperature gauge and additional side shelves. While certainly not our first choice, it is good enough to challenge on a list of the best low-cost gas grills. Click here to check its latest pricing. This 36-inch beauty from Blackstone is just that, a beauty. It gives you a chance to enjoy a restaurant grade professional experience at minimal cost. It is a flat top griddle/grill that doesn’t cost much to acquire. The Blackstone is more like a flat workbench stood on sturdy four wheels and is perfect for outdoor camping, turning in at just 120 pounds. Owing to its nature, this 36-inch beauty requires little effort setting up and comes largely with no complaints about setup difficulty. Regarding heating, it comes at a respectable total of 60,000 BTUs from 4 separate burners. The grill easily gives way to the griddle, depending on the purpose you require it to serve. And operation is very smooth. However, the cleaning surface can at times be too difficult to clean due to the presence of grease. Suffice to say the grease handling system of the Blackstone is deficient. To combat this, you can spend a few extra bucks to get yourself a Griddle cleaner. Ultimately, this is definitely one of our best gas grills. Want to know the current price? Click here. If you desire an easy-to-install, moderately priced gas grill that is both convenient and efficient, this is the grill for you. It is among the elite of the low-price grills, but it is worth every penny spent on it. The DGE series 5 burner Propane Grill from Dyna-Glo is easy to use. One of its major advantages is its large size. With a cooking surface of over 708 square inches, it is surely one for the large occasions. It does heat up quickly, attaining 500 degrees in just over three minutes, and cooks evenly. Shifting to the control panel, the push-button ignition system is trusty enough. For all of its incredible advantages, this barbecue grill does have a peculiar disadvantage – the grates are spaced too far apart. This is not good for those planning on using it for preparing small-sized meals like burgers and hot dogs. Maybe, make your patty bigger? Another drawback exists for those who love more compact options as this is not a collapsible barbecue. But, it does come with an excellent rotisserie burner and a side burner. Further, it can be switched from propane to natural gas. It is affordable, effective and efficient. What more can we ask for? The Weber Spirit family is as efficient as a real life spirit (if you believe in such). This time, the Spirit E33o model 46810001 is a feature-loaded gas grill that does not disappoint. The 3 main burners are fully powered at a total of 32,000 BTU. Additionally, the flush-mounted side burner hits a peak of 12,000 BTU, while the sear station burner tops at 7,500 BTU. The major attraction of the Spirit E330 model is the sear station which gives an extra boost of power to the standard burners. Assembly can be tricky, and this is no exception. If you follow the instructions carefully, your grill should be all set in about 2 hours. The quality of stainless steel used for this grill can be felt from the onset and is sure to last long. The E330 was designed to replace the E320. It is one of the more expensive options on this list and falls into the mid-range pricing category. Is it worth the money? The Char-Broil Classic 6-Burner Gas Grill is a large gas grill. It is around the mid-range price level (or what I like to think of as the elite low-cost level). This 6 burner grill from Char-Broil can churn out up to 65,000 BTU. It also has a 10,000 BTU side burner for cooking and warming. The cooking surface occupies an area of 650 square inches. This area is expandable to 900 square inches with the addition of secondary cooking warming rack to the porcelain-coated iron grates. The heat is definitely great, one of the biggest in this review. Moreover, it is ideal for large families or occasion-cooking. Something has to give, right? The Classic 6-Burner from Char-Broil trades off the construction quality for all of this. The stainless steel used is below par, discolors, and then rusts in time. Similarly, the burners are not sturdy enough to last beyond 2 to 3 years with proper care. However, if you like big, this is one of the set gas grills available on the market for you. We can hardly call it over-priced. The Dyna-Glo family of grills is a mighty one indeed. And this 2 burner premium grill from them did not fall short. The price is on the lower side, but the capability is top-notch. The Black & Stainless 2 Burner Premium Grill occupies a 350 square inches cooking space. The secondary cooking area can easily expand this to 547 square inches. Considering its small surface area and low cost, the 30,000 BTUs this piece produces is impressive. On offer are 2 enameled cast-iron cooking grates and an easy-to-use electronic ignition. Setup might take a while but isn’t incredibly difficult if you follow the instructions carefully. A major fear for low-cost machines is durability and maintenance. Dyna-Glo excels with its 2 Burner Premium in that respect. Maintenance is easy, in addition to an assured durability. The drawback for this machine, as with most in this price range, is the low-cost insulation materials and cheap knobs. Still, for its price range, it is in competition with the very best. Click here to find out the current price. This will easily rank as the smallest gas grill on this list, and for a good reason. The Char-Broil TRU-Infrared Patio Bistro Gas Grill is a small, compact gas that barely occupies 240 square inches of space. It has been carefully designed for small size cooking and is both portable and full height. 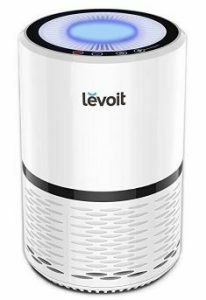 It can give you a comfortable 13,000 BTU. While this might seem a little small, Char-Broil’s infrared technology on this grill is a model of fuel efficiency. Char-Broil has set out with one mission – to offer quality, lower cost alternatives to Weber. To achieve something as small as this, Char-Broil resorted to the use of delicate materials. As a result, the Patio Bistro requires a little more care than more rugged grills. Another negative is the long time it needs to heat up thoroughly. If you need something simple and space-effective, the Patio-Bistro is not a bad idea by any means. Want to find out the current cost? Navigate to this page. The Dyna-Glo DGE Series Propane Grill is surely among the best gas grills available in the market today. It is a high-performance accessory with four high-grade stainless steel, durable grates. Each of these has a capacity to churn out about 10,000 BTU, plus a side burner that turns out 12,000 BTU. This means you can grill and cook all at once. The control panel is stock, with electronic ignition and a temperature gauge. It is on the larger side, occupying about 640 square inches. Conversely, it lacks an LP tank, which you’ll have to purchase, and a rotisserie kit. Besides this, the only other disadvantage is an occasional lapse of temperature. Either way, it is an excellent choice for a low-cost gas grill. Unsure if this is what you need? Click here to see more. As the name implies, the Blackstone 28” grill/griddle station is primarily designed for outdoor or backyard cookouts. While the 36” is clearly larger than this, the 28” surface is spacious enough to hold all the fixings for your barbecue preparation. The large propane burners can be independently regulated for appropriate heat levels, reaching a combined total of 30,000 BTU. This can be high or low heat, and it does well at keeping distribution even. The 10 gauge steel griddle top can easily be removed, converting the machine into a grill machine. This is essentially a low-cost, easy to clean, cook station for various meal types. The Blackstone 28 inch outdoor flat top gas grill station is meant strictly for outdoor use and can leave a mess when used indoors. The ignition can give some issues from time to time, and the burners are quite inferior. With proper care and maintenance, it is sure to last you a while. It is not commercial grade, but who really needs that? It is still one of the best low-cost gas grills available. Find out current prices here. It is inevitable that the Weber Spirit E310 Natural Gas Grill gets on this list. An upgrade on the E210, the E310 is every bit as good, and then some. The Spirit E310 is essentially a 3 burner version of the E210. This additional burner provides you with more heat – up to 32,000 BTU – and cooks hotter and faster. It also increases the primary cooking surface by 64 square inches to 424 square inches. More burners also make temperature control much easier by providing more control zones in the panel. A fun new addition makes it possible to pair the Spirit E310 with other extras – a griddle, wok, pizza stone, etc. This is possible thanks to Weber’s Gourmet Barbecue System Grate. The grill does get real hot and is easy to clean. Ignition is also a seamless one-way action. Unfortunately, it is on the smaller side and is best for single individuals or couples. Like most Weber products, it is on the elite side of low-cost grills. It is certainly one of our best gas grills and worth its cost. Click here to get latest pricing information. The Blackstone community is here with another grill and griddle combination, plus all of its extras. The Tailgate Portable Gas Grill and Griddle Combo with Barbecue Box and Open Burner stove is as versatile as you can possibly expect from a gas grill. The cooking options available for you while using the Portable Tailgate Gas Grill is limitless. It is useful for steaks, veggies, boiling water, and just about anything else. Even more impressive is the price level which is considerably low-end. Suffice to say it is ideal for hunting, fishing, camping and tailgating. While it is admittedly on the heavy side, Blackstone decided to add an extra carrying case. This eases the stress of transportation while hiking or camping outdoor. Believe it or not, the 2 burner system can quickly attain a total of 60,000 BTUs. Also featured are 3 alternate cooking configurations, a 16 by 16-inch griddle, electronic ignition system, and adjustable legs. Designed for outdoor use, it is very easy to set up and requires minimal effort to assemble. Interestingly, its versatility permits the removal of both the grill and griddle as you please. The grease trap is a bit of a letdown to the overall greatness of this grill. Unfailingly, though, it ranks amongst our top 20 best gas grills. For more about Blackstone Tailgater Portable Gas Grill, click here. Char-Broil Performance 475 4-burner Cart Gas Grill gives you the premium Char-Broil experience at minimal cost. Following in its range of low-price products, this is a great grill for a barbecue with family and friends. The combined power of the 4 stainless steel top-ported burners culminates in a total of 36,000 BTUs. It comes with a primary cooking surface area of 475 square inches which can be topped up to 650 square inches. On the side, you’ll find a lidded side burner of about 10,000 BTU. A stainless steel lid, handle, and control panel completes the unit. The Performance 475 4-Burner sits atop two stationary feet and two wheels, making it easily mobile. The electronic ignition is quite reliable, while the removable grease pan makes cleaning easy. Assembly is a non-issue. The only major shortcoming to this product is its slow-to-heat-up nature. Once you get used to it, it is not a big deal. The heating is even and usage places among the best gas grills available, at least, for low-cost grills. The Genesis E-330 came as a surprise to most Weber Genesis users. This was a result of the massive changes in the style from previous Genesis editions. On offer is about 38,000 BTUs of heat from 3 stainless steel burners and roughly 637 square inches of cooking area. The finish is a solid steel unit that is not only classy but durable enough to make it resilient. The 12,000 BTU side burner and the 10,000 BTU Sear Station burner provide additional heat. The black finish of the 6531001 E-330 model is glossy and attractive if nothing else. Further inward, all of the stainless steel burners are porcelain coated iron grates. This brings restaurant-grade cooking to you and ensures sturdiness. In summary, it is easy to use, convenient, and robust. Setup takes a little over an hour, and heating is fast. You’ll have to contend with the weight, though, so it will be best assembling it in its final position. Beyond the stainless steel and grates, the rest of the material can feel cheap and weak. Do handle with care. Conclusively, it is worth its money and deserves its place in the mid-range pricing level. For more on the current price, click here. The Camco 57305 Olympian 5500 Portable Grill is a gem amongst grills. It is innovative, new, and different. A portable outdoor grill, Camco 57305 Olympian 5500 connects to your recreational vehicle or trailer’s low propane outlet. With its silver stainless steel finish, it adopts a silver color rather than black. The cooking surface gives you an area of 180 square inches. Small, right? Undoubtedly! Thankfully, it makes up for this in a host of other places. Churning out 12,000 BTUs is more than respectable for a grill this small. Therefore, heating up is fast, and cooking is quick. Assembly is straightforward. A few minutes is all you need to finish setup. The steel is also durable and trusty. All of its good external work seemed soured just a tad by the weak-looking stand, but that has remained firm so far. You’ll have to support the weight carried by the stand to keep it so long. In addition, Camco added one last intriguing bit – a Cast-iron plate, which allows for even heat distribution. Impressive at a low-cost price and highly portable, it is undoubtedly one of the best gas grills available. Designed specifically as a portable, tabletop grill, the Cuisinart CCG-306 is your perfect companion on any trip. It features 2 stainless steel grates that provide a combined power of 20,000 BTUs. Setup is easy – under 10 minutes. Furthermore, the ease of dismantling makes it ideal for travel, camping as well as backpacking. Matters transportation, its legs are also collapsible. Other features include twist ignition and a thermometer. As a low-cost option, there’s really nothing more that can be asked of it for what it set out to achieve. Which do we pick as our ultimate? Which would you pick? All of the gas grill units on this list have made it thanks to one feature or another – some unique, some expected. Your ultimate choice will depend on your budget, usage, taste, and other factors. Each of the items here deserves to be on the list of the best gas grills. More expensive ones might come with more extras, sturdiness, and class, but these give you the basics of a gas grill, and then some. If you like a portable alternative, this article on the best small gas grills will come in handy.